CP’s Note: This story about my teaching collaboration in Environmental Studies originally appears in my department’s ‘Teaching with LITS’ nook on the College’s website. It’s a wonderful look at all the fabulous collaborations that enhance teaching and learning at Mount Holyoke. Over the last three and a half years, eportfolios have become central to my work. I began teaching in the senior seminar during the fall of 2014 with my first cohort. Each summer, I spend a lot of time revising my sessions to incorporate better writing prompts, new framing for why taking control of one’s online presence matters, and tips and tricks for understand what the internet knows about you. icon-save The podcast Note to Self continues to transform how I teach students about the intersections of humanity and technology but also how I understand my own relationship with technology. icon-mobile-phone Gina Neff and Dawn Nafus’s most excellent book Self-Tracking from the MIT Press Essential Knowledge Series helps me scratch the surface of the self-tracking movement and how to apply it to integrative learning. icon-book The New Yorker enlivens my life on so many levels, but the recent article about #vanlife will enrich my teaching this fall. Three cheers for the serendipity of deep and wide reading! 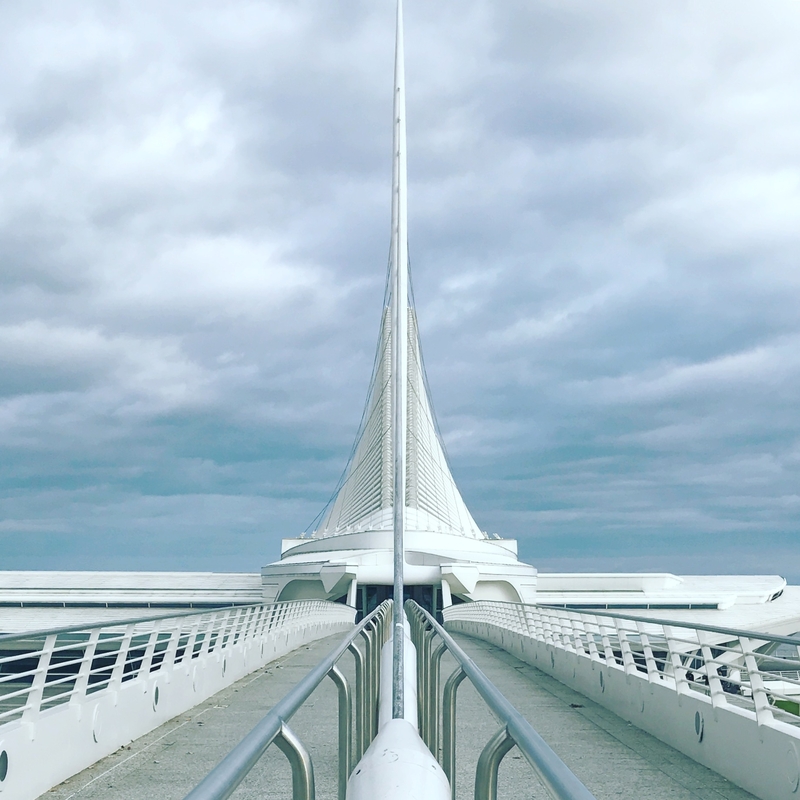 I took this photograph during the DLF Conference in MKE in November, 2016-it’s become a representation of the pedagogical space I want to create in eportfolio classes. Students in the Senior Seminar in Environmental Studies meet as a cohort each fall to reflect on their studies, internships, and co-curricular activities. Together, they cultivate their online professional lives.This seminar is the start of their online professional lives. They talk about their online presence and consider all the various platforms that they use. They spend time learning what the internet already knows about them and contemplate how they want to reintroduce themselves online. It is an opportunity to integrate classroom learning, extracurricular activities, and LYNK internships into a personal narrative. These are some of the first steps they will take towards life after Mount Holyoke. What is next after graduation? Enter the eportfolio. It is a tool to collect writings, reflections and summaries of qualifications.More importantly it reflects a process of integrating a student’s whole life at Mount Holyoke. The seminar is a rare opportunity for students to consider how their experiences in college changed them in the company of their peers. Professor Tim Farnham and embedded librarian, Caro Pinto facilitate conversations about social media and online privacy. Students leave with the tools to take control of their digital lives and self-knowledge about how to connect to new communities of practice whether it be professional fields like civil engineering or activist communities. Students begin to build their eportfolios in WordPress, which is a useful platform due to its flexibility and transferability; students can easily export their content into other platforms. It promotes student autonomy as they create a coherent online presence. The eportfolio is simultaneously a space to write a biography, describe experiences and goals, showcase projects undertaken at internships and a starting point to develop content that can be transferred to platforms like LinkedIn. Students in this seminar learn to channel Carrie Brownstein and to prepare to tell their own stories lest someone else do it for them. Are you interested in helping your students cultivate a professional online presence? Contact your LITS Liaison.